Hello all, we are safe and dry here. It was not quite as crazy as I thought it would be, but, it still made quite an impact. This is the scene directly in front our apartment. Our street is obviously underwater. 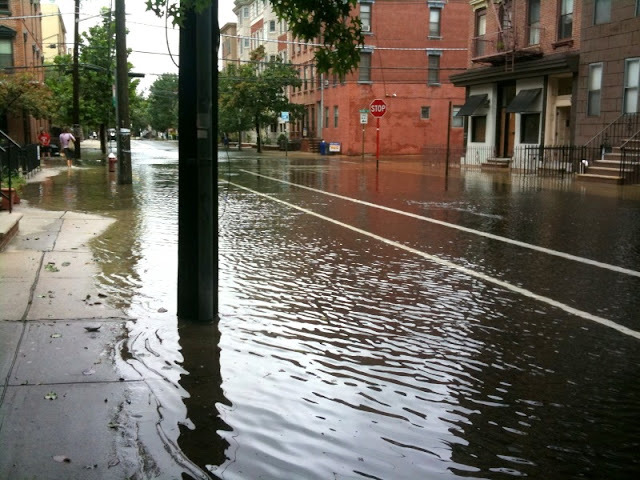 But, what is even crazier is that we actually fared better than the rest of Hoboken which is mostly underwater. 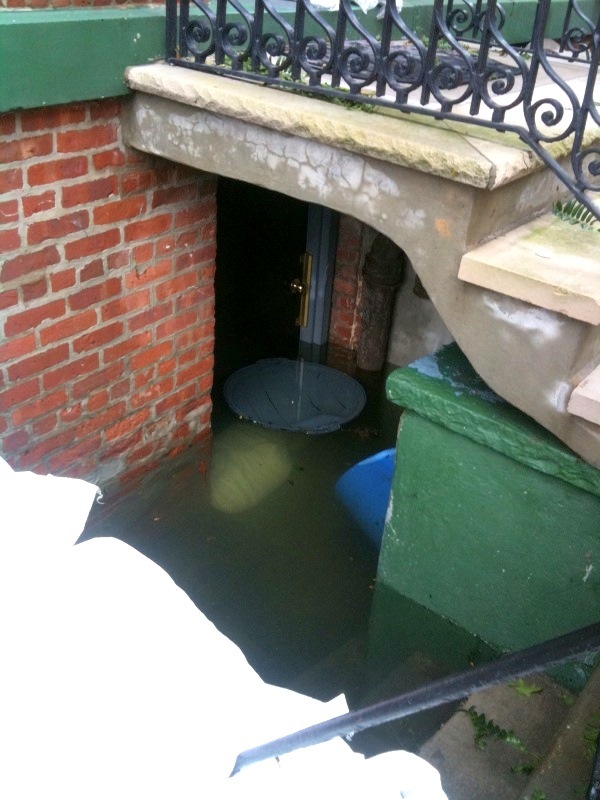 The next pic is the entrance to someones home next door to us. Awful. This is our shared backyard behind our building. Not sure how they are going to get the water out. 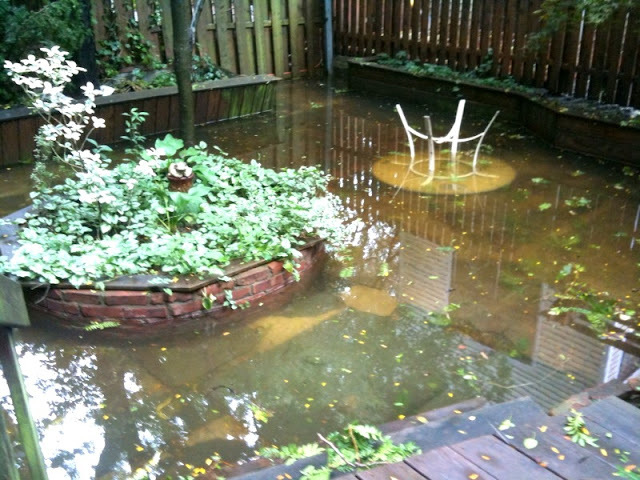 But, I hope they do soon, because it will be a large cess-pool outside our kitchen before long. I'm just glad we are safe and dry, we even got power back earlier this afternoon. Thanks for all the thoughts and prayers that came our way. I truly hope everyone else fared as well as we did. 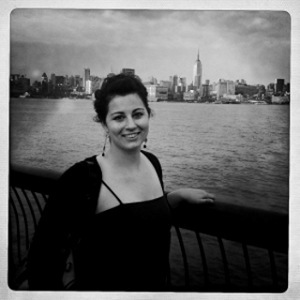 I've been reading your blog for a couple of months now but never realized you were in Hoboken! We just moved out of Fort Lee and into Union County, but we came back to my mother in law's house in Fort Lee to ride out the storm. Not much damage here--glad you are safe! thats ALOT of water! hope it recedes soon! Oh my gosh, Nichole. I hope the cleanup moves quickly for you and your neighbors!